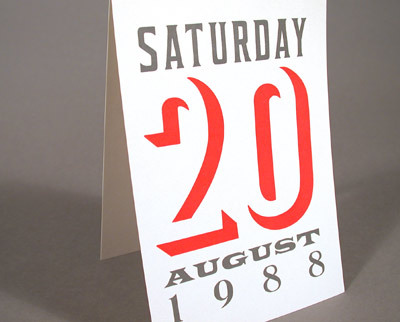 Wood type, metal type, and sometimes xeroxing are combined with inkjet printing for these invitations, dating from 1989 to 2005. Birthday party invitation. 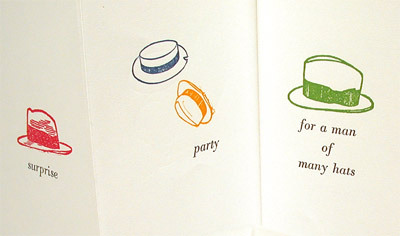 "Surprise Party for a Man of Many Hats". Metal type and illustrations. 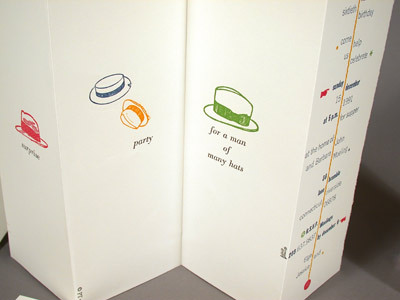 Printed on a Vandercook press. Richmond, Virginia, 1990. "Surprise Party for a Man of Many Hats". Detail. New Year annoucement, 2000. 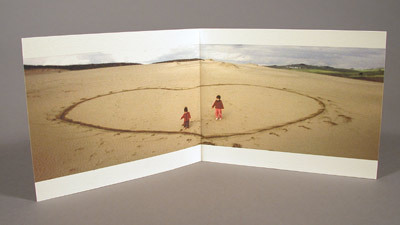 Epson inkjet on watercolor paper. Point Reyes, California. Wedding announcement, Charlottesville, VA. 1988. 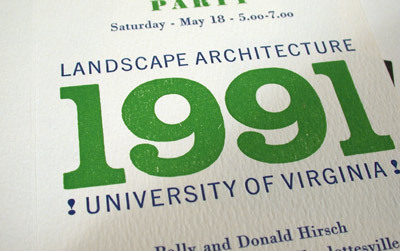 Graduation announcement, Charlottesville, VA. 1991. Often, if I have access to a letterpress printing shop, I like to go back to the basics of typography by way of metal type. 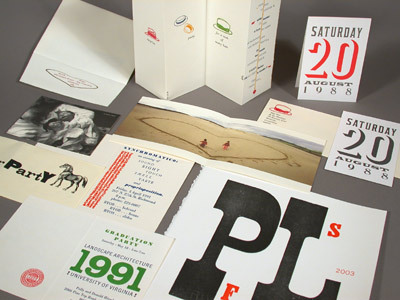 The constraints of letterpress printing are a healthful reprive from the no-constraints mode of the digital realm.